Stone Arch Books, 9781496531452, 128pp. 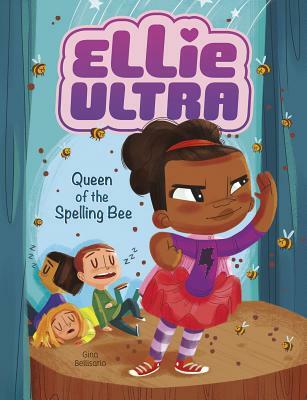 Ellie can't wait for the school spelling bee-she's a super-speller and is sure she'll be crowned queen of the bee But when her best friend Hannah makes the cut for the spelling bee instead, Ellie discovers that being super doesn't mean she shouldn't study. When it's revealed that the substitute librarian in charge of the bee has a villainous plan, it's up to Ellie to save the day-and her friendship.